I am sure that many of you will be aware of the discovery announced in February this year of seven Earth-sized planets orbiting a small cool star known as Trappist-1. (Gillon et al 2017). In this post I’ll talk about this exciting finding and the possibility that some of these planets might support life. 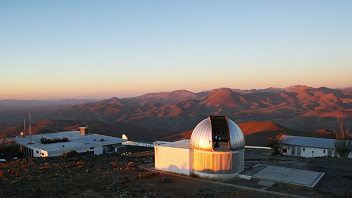 Trappist-1 and its planets were discovered and named by a team from the University of Liege in Belgium, using a telescope which is itself called TRAPPIST – the TRAnsiting Planets and PlanetesImals Small Telescope (TRAPPIST) in Chile. The team discovered the planets through their study of the way the light from Trappist-1 varies over time. Planets other than those in our solar system are known as exoplanets, and all exoplanets are much too faint to be seen directly from Earth. 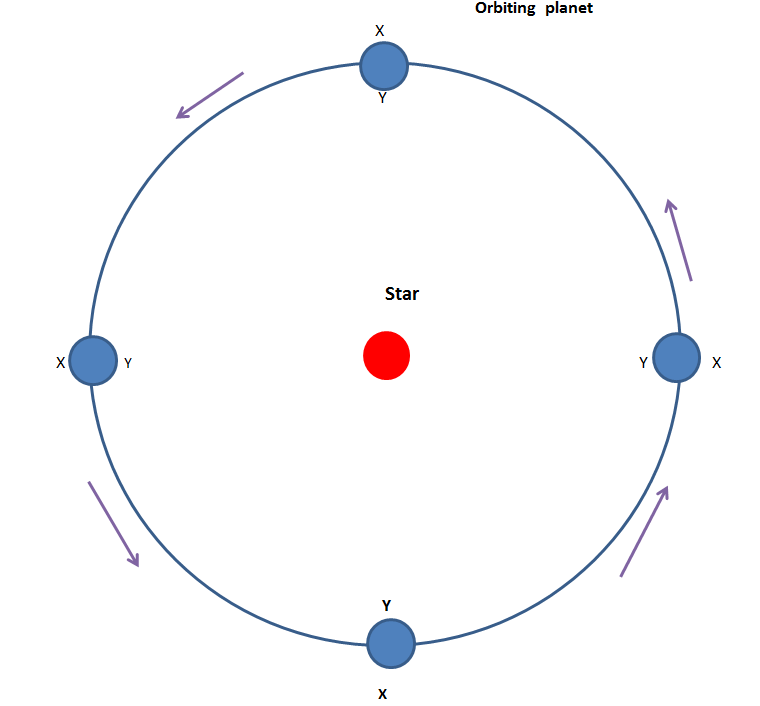 However, as shown in the diagram below, as a exoplanet passes in front of a star the brightness of the star dims because some of its light is blocked from reaching the Earth. The interval between each time that the star is at its faintest is the same as the period of time it takes for the planet to orbit the star. If the mass of the star is known then the distance of the planet from the star can be calculated by a relationship known as Kepler’s Law. Clearly, the larger the planet the more of the star’s light is blocked out. The amount by which the star’s light is dimmed gives a measure of the diameter of the planet. The mass of the planet can be determined by the strength of its gravitational pull on the star. This gravitational pull causes the star to wobble slightly. The observations of the light from Trappist-1 are shown in the diagram below. This shows that its brightness periodically falls due to its light being blocked by seven orbiting planets, which are labelled 1b to 1h. The planet 1b is closest to the star and has the shortest period and 1h is the furthest away and has the longest period. Mrs Geek, my talented proofreader and dearest companion, wonders what happened to planet 1a, but I’m afraid I have no idea. When the distances were estimated, three of the planets, 1e, 1f and 1g , turned out to be within the “habitable zone” meaning that they are at such a distance from the star that the temperatures are likely to be similar to those found on Earth. This exciting finding, coupled with the fact that all three of these planets are a similar size to the Earth, led to speculation that one or more of these planets might support life and perhaps even that intelligent life could have evolved. The Trappist-1 system – Image from NASA. the distance from the star, in astronomical units (1 AU is the mean distance from the Earth to the Sun). the mass of the planet, on a scale where the Earth=1. Trappist-1 is a very different star to the Sun. It is a small compact star known as a red dwarf. It is only 11% of the diameter and 8% of the mass of the Sun. If Trappist-1 consumed its nuclear fuel at the same rate as the Sun, it would be 8% as bright as the Sun (because it is 8% of the mass of of the Sun). However it burns at a much lower rate and is only 0.05% as bright as the Sun. This slow burning means that it will shine for a long time. The predicted lifetime of Trappist-1 is around 10 trillion years, one thousand times longer than the Sun. Because Trappist-1 is such a cool dim star compared to the Sun, the habitable zone is very close to the star. It lies in the region roughly 0.025 to 0.05 AU from it. For comparison, Mercury, the innermost planet in our solar system, lies 0.4 AU from the Sun. When a planet orbits so close to a star it will become what astronomers call tidally locked. This means that one side of the planet always faces the star and the side other always faces away, in the same way that one side of the Moon faces the Earth and the other faces away. The diagram above shows one of the planets orbiting Trappist-1. On the side of the planet facing Trappist-1 (marked with a ‘Y’) the sun would never set and it would always be daylight, and temperatures would be very high. At the point on the equator where the sun was directly overhead the temperature might be well above the boiling point of water. On the other side of the planet (marked with an ‘X’) the sun would never rise. It would always be dark and the temperatures would get very low, possibly hundreds of degrees below freezing (see notes).The region where the temperatures would be closest to those found on Earth would be on the edge of the daylight side or at high latitudes. Here, although the sun would always be above the horizon, it would be low in the sky, so it would not get too hot. These huge temperature differentials across the planet would be likely to cause extreme weather conditions with very strong winds. Although this might not be a barrier to small simple lifeforms, like single celled organisms, it would be difficult for larger organisms to live on the planet’s surface. There are other factors which make the evolution of larger life forms more difficult. 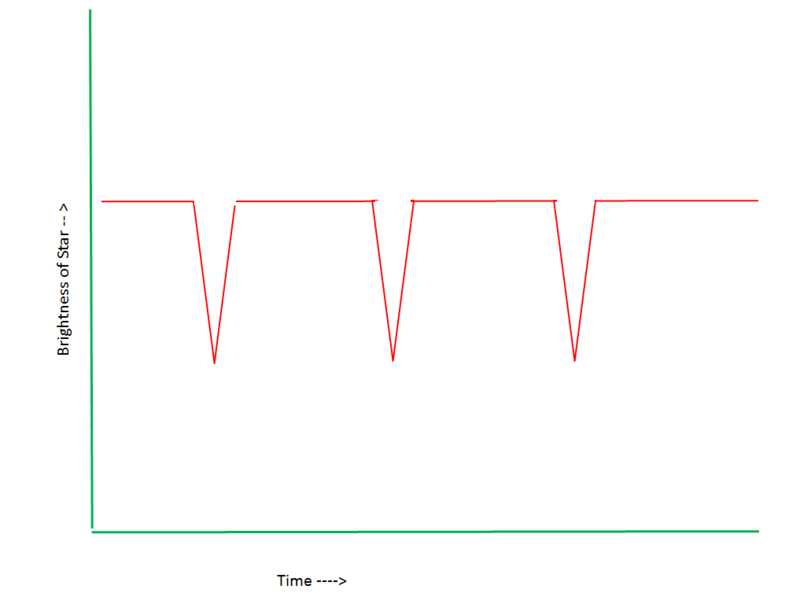 One is the star’s variability. Unlike the Sun, whose brightness is fairly constant, the amount of energy emitted by red dwarfs rises or falls by as much as 50% over short timescales. This could cause huge swings in temperature which would obviously present challenges to larger and more complicated life forms. Like all red dwarfs, Trappist 1 has a much lower surface temperature than the Sun. It is only 2,300 degrees C, compared to the Sun’s 5,500 degrees C. This lower temperature means that most of its energy is emitted as infrared radiation, rather than visible light. This has practical effects to the evolution of life. As you may recall from high school biology, on Earth plants contain a pigment called chlorophyll. 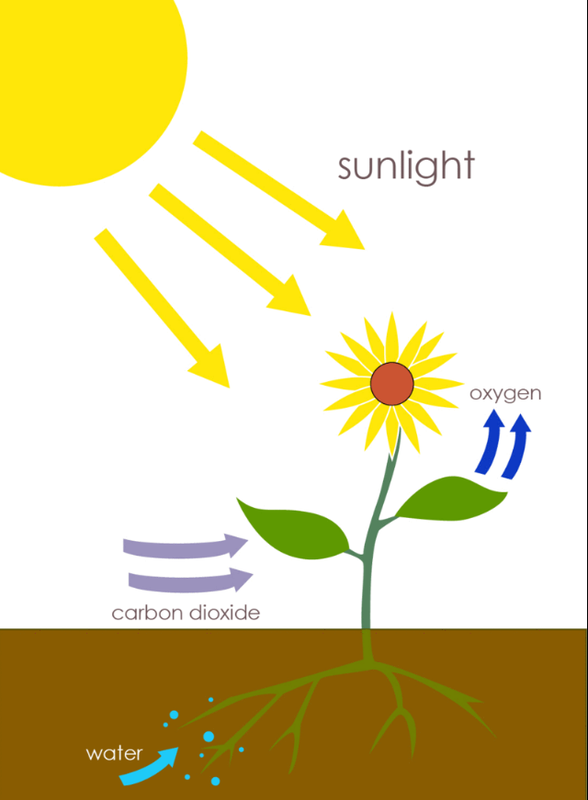 This is used in photosynthesis, in which the energy in visible light is used to convert carbon dioxide and water into sugars and starches, at the same time releasing oxygen. Photosynthesis is largely responsible for producing and maintaining the oxygen content of the Earth’s atmosphere, and supplies all of the organic compounds and most of the energy necessary for life on Earth. On Trappist-1 plant life would have to use a different chemical other than chlorophyll for photosynthesis. This chemical would be sensitive to infrared rather than visible light. 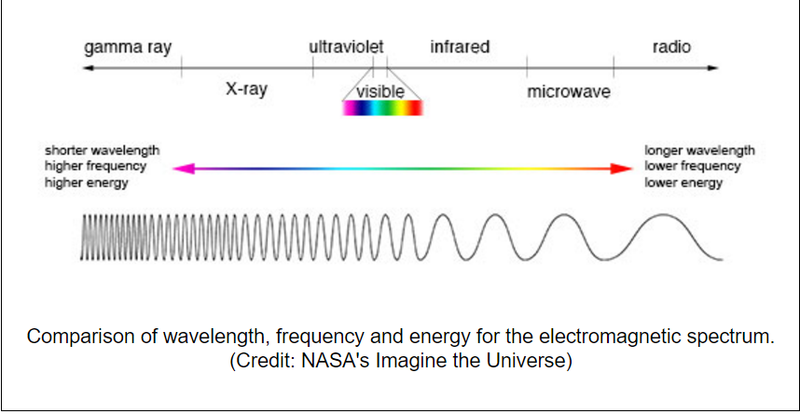 Similarly if any animal-like creatures existed they would have evolved eyes to see in infrared and might be unable to see in visible light, in the same way that our eyes cannot see in ultraviolet. Could there be intelligent civilisation around red dwarf stars? There are clearly significant challenges to advanced life evolving in planets around red dwarfs, even if the planets are Earth-like. However, there is one thing in their favour. Red dwarf are by far the most common type of stars, making up roughly 80% of the stars in the galaxy. Only 5% of stars in the galaxies are the same type as the Sun, which astronomers call a “spectral class G” star. In fact in 100 billion years time when all the larger stars have burnt their nuclear fuel, the slow burning red dwarfs will be the only type of stars left. I will talk more about the possibilities of life around red dwarfs in my next post. Strictly speaking, it is not true that one side of the planet is always dark and the other always in daylight. This is only correct if the planet moves in a perfectly circular orbit around Trappist 1. If it orbits in an elliptical, or oval-shaped, orbit, then for a small region of the planet around the boundary between the always in daylight and always night sides, the sun would drop just below the horizon and appear shortly afterwards, giving a day and night cycle. Gillon M, Triaud A, Demory B, Jehin E, Agol E, Deck E, Lederer S, et al (2017) Seven temperate terrestrial planets around the nearby ultracool dwarf star TRAPPIST-1,Available at: http://www.nature.com/nature/journal/v542/n7642/full/nature21360.html(Accessed: 9 Apr 2017). Next Post Enceladus -Could there be life? Apropos the lack of Trappist -1a, as I understand it the ‘a’ designation is not used because it’s often reserved for the primary star, but not always (there’s some confusion because what’s being found generally doesn’t precisely fit the nomenclature system). It’s a very cool discovery and I wonder if there are other planets in the system that haven’t been found yet – possibly slightly off-plane, or because their orbital periods are too long. Enjoyed reading – I’d been wondering when you were going to write about this topic! I actually started writing the post at the beginning of March but I had a busy time at work, plus a few family commitments. This meant it was on hold for a few weeks 🙂 before I could finish it. Terrific post. Thanks for taking the time to write it. The TRAPPIST-1 system has been really inspiring to me, both for what it might hold, but also for for what we can learn about where else to look; for we might find hiding right in front of us. Here’s to you for the great work.